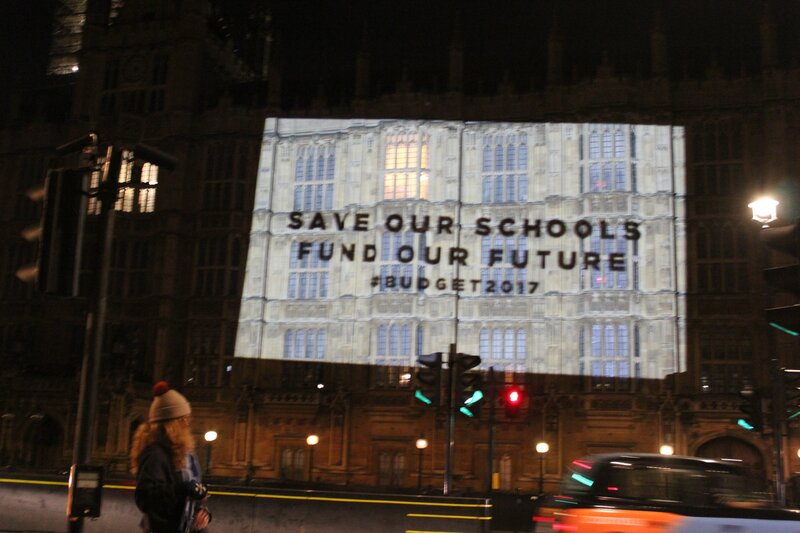 The writing was on the walls of London for the Chancellor last night as we projected“ Save Our Schools – Fund Our Future” against high profile buildings. 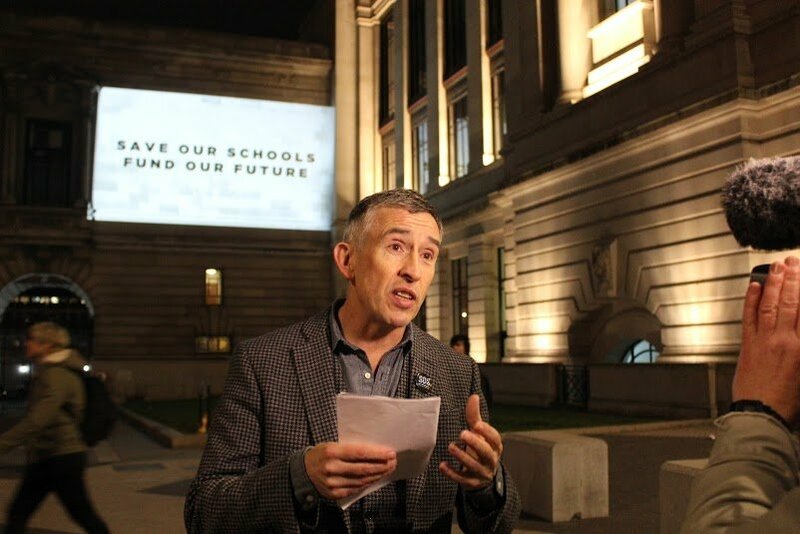 In an amazing awareness raising stunt, Steve Coogan joined Save Our Schools parents to project hard-hitting motion graphics against the Science Museum, Tate Britain, the Treasury and the Houses of Parliament. In a week that has seen head teachers descend on Downing St, politicians continuing to raise questions in Parliament, parents once again took to the streets to highlight the plight of our schools. 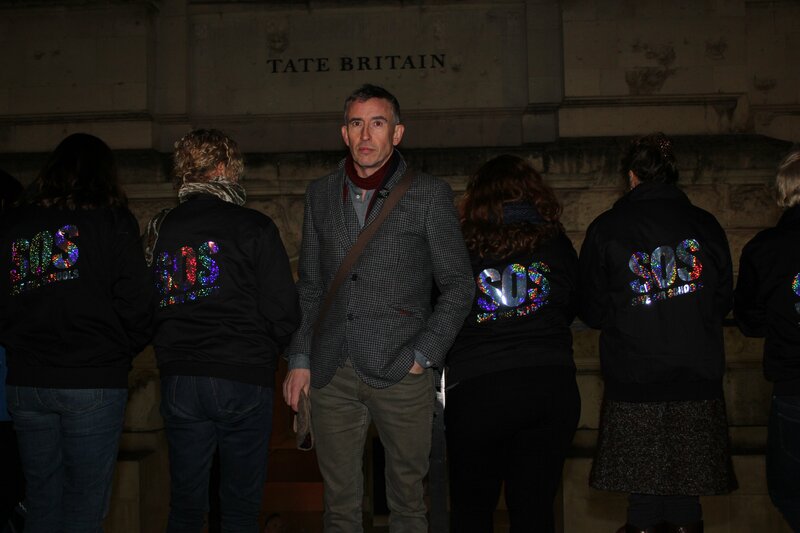 Actor Steve Coogan joined Save Our Schools campaigners to kick off a night of guerrilla actions at London’s Science Museum. We started outside the Science Museum because we have a proud history of producing amazing scientists: biologists, physicists, chemists, astronauts and astronomers. Yet with the education system in crisis, class sizes growing, buildings crumbling and teachers leaving the profession in droves, we worry about where the future Stephen Hawkings, Tim Peakes and Maggie Aderin-Pocock will come from. 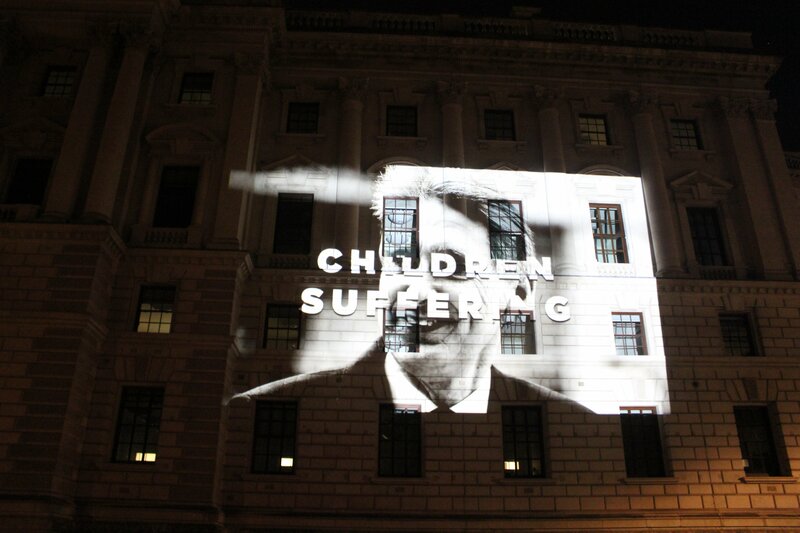 We moved onto the Treasury, where we projected Phillip Hammonds face. As parents are increasingly being asked to dig deep into their pockets to pay for school essentials like toilet roll, he now needs to dig deep to fund the education that our children deserve. Our message was loud and clear on the Houses of Parliament. While the Government continues to deny there is a crisis, school buildings are crumbling, teachers are leaving, subjects are vanishing and children are suffering. Help us share this message widely. Share this post, write to your MP. Download the projection and do your own! Help us tell the chancellor that we do not believe their rhetoric, he needs to save our schools and fund our future, starting with the Budget on 22nd November. Take action like your kids’ education depended on it.